Unbelievable it may sound but most of the time what we actually drink is ‘tisanes’. For the drink to be considered tea, the drink must be made out of the leaves of ‘Camellia Sinensis’ or simply called the tea plant. The leaves offered to us at our local shop are an amalgamation of different leaves – that can be made into a drink that appears like tea – but in reality, it is devoid of actual tea leaves. 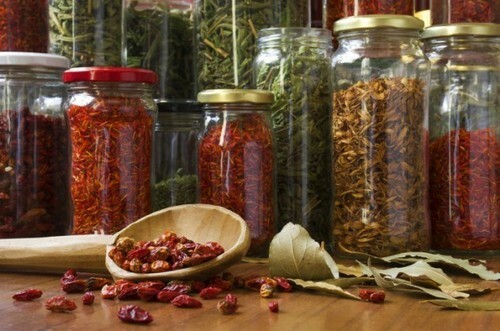 Don’t be too worried about it because the mixture usually contains very useful herbs like Chamomile, ginger et al that are really very healthy. Tasseomnacy is a fortune-telling method where patters made by tea leaves are used as tools to detect future. This method dates back to ancient China and possibly was spread around by the gypsy tribes. This method of divination was popular around the time when witchcraft was prohibited. Tasseomnacy was viewed as an easy substitution to other such practises. The method of tea-leaf reading (according to the Encyclopedia of Occultism & Parapsychology) was as follows: After a cup of tea has been poured, without using a tea strainer, the tea is drunk or poured away. The cup should then be shaken well and any remaining liquid drained off in the saucer. The diviner now looks at the pattern of tea leaves in the cup and allows the imagination to play around [with] the shapes suggested by them. 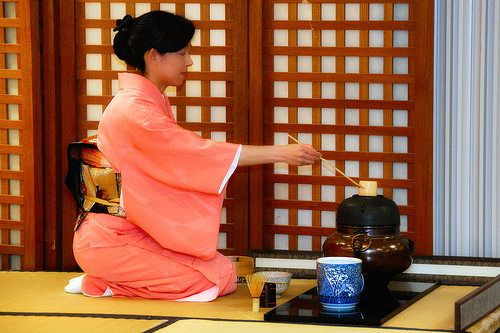 The Japanese tea ceremony is no doubt an important part of their culture. Though it may seem surprising but the tea ceremony is more about the ceremony itself than about the tea. It is really an elitist culture where a kind of bitter green tea called ‘Matcha’ served with a sweet dish as complimentary. The tea ceremony is an elaborate affair that requires years of training to master and the efficiency of conducting the ceremony helps further one’s social standing. It usually involves four to five people in total. Japanese tea ceremony is kind of a ritualistic auspicious party where people socially bond with one another. It is an Indian drink; basically some cinnamon, cardamom, ginger, black pepper et al are mixed with black tea or milked tea. 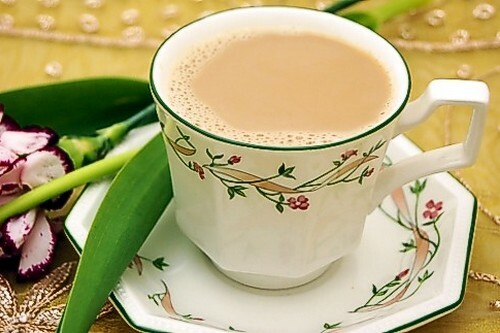 Among the American, masala chai is quiet famous as ‘chai tea latte’. Interestingly here in India if you order a ‘chai tea’ people will laugh at your face because the term ‘chai’ actually means tea so essentially you are saying ‘tea tea’. So when in India simply say ‘masala tea’ that translates to spiced tea. Caffeine is the bitter alkaloid found in coffee and tea that is responsible for their stimulating effect. People have the wrong idea that decaffeinating a black or green tea is an easy task. The most popular method is to sieve the tea for 30 seconds and throwing away the residue, brew the liquid again. But studies conducted on decaffeinating tea bags have found, that in order to get rid of around 90% of the caffeine one requires to brew the tea for a minimum of 10 minutes and more. ‘Soy Lecithin’ is one of the most popular ingredients used in processed food. Lecithin is an oily substance found in plants (soybeans) and animals (egg yolks). Soy Lecithin has processed emulsification properties that are found in tea bags among other products. While it may be problematic for people with soy allergy, ‘soy lecithin’ is actually beneficial to the health. A small study conducted to find the benefits of its use have confirmed that soy lecithin has the power to effectively deal with inflammatory bowel diseases. It has also been suggested that soy lecithin may also be able to combat Parkinson, Alzheimer & bi-polar dieses. Though this has a long road from being proven. Lahpet is actually pickled tea which is a delicacy in Burma. The tea leaves are basically steamed and softened after which these are packed in bamboo pats and set into deep dark hole for years; once in, if necessary, a while the leafs are checked and steamed again in order to bring out the desired flavour. The end product is consumed as food rather than drink, and it is topped with garlic, peanut, dried peas, sesame seeds, shrimps et al. Similar to the Japanese tea ceremony, lahpet is a part of the Burmese culture and plays a significant role at social bonding. It’s almost as scary as it sounds. A particular study, conducted in Brazil have found that a variety of teas (black and green) consists an alarming amount of aluminum & fluoride. The amount of fluoride discovered can easily cause dental fluorosis while aluminum can cause Alzheimer disease. The soils on which the trees were grown were essentially of low quality which caters to the spread of the above components in the soil and into the plants. Tea, also amongst the top foods for better health. An ingredient called ‘L-theanine’ found in tea has some amazing effects on our brain, knowing which will persuade you to drink more tea every day. Researchers have found the l-theanine can relax the brain, helps reduce stress without making it feel sleeping (this is why your mother offers you tea during late night studies). It even improves memories and makes one profoundly aware of one’s surroundings. Though largely considered as a healthy, various studies done on this popular drink have found varied and often contradictory results. One such study conducted over a span of 37 years on thousands of people, shockingly found out that heavy tea drinkers ran the risk of developing prostate cancer. While, another study stated just the opposite. One more study tested green tea catechins on men, in the preceding stage of prostate cancer and saw some beneficial effects on humans but further studies on the line could find no such benefits whatsoever. Evidently sufficient amount of research is needed to come to a proper conclusion. 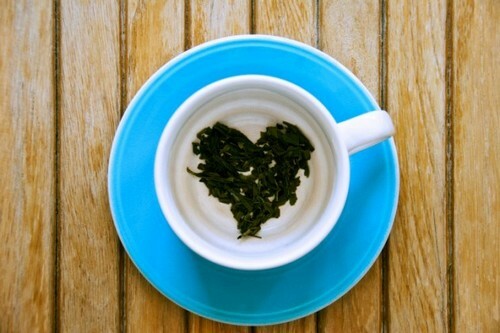 Green tea is one of super-foods that boost your mood quickly.